When the riots took place in 2011 across the nation I reported that the Police and a helicopter were fired upon ELEVEN TIMES during the riots in August, occuring in Aston, Birmingham. They have now been given jail sentences between 12 and 30 years; the youngest member of this group last name Rehman was ‘found guilty of riot and firearms possession with intent’ and given the shortest sentence of the group, he will be serving 12 years in prison. The sentences were given to seven members of the group which were caught on Infra-red Camera by a police helicopter, which was shot upon during this incident in August 2011, they have been charged for firearms possession, reckless arson and rioting. 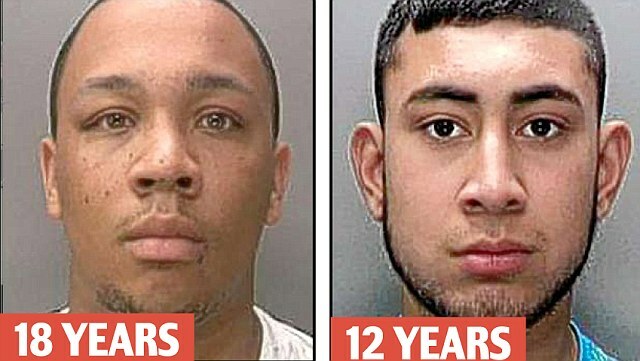 The following are photos from the Daily Mail showing the culprits and their sentences. Nicholas Francis, 26, was described by the judge as ‘a dangerous man’ and was jailed for 30 years, the 5 others are Lewis, 27, and Laidley, 20, both jailed for 23 years, Farrell, 20, and Collins, 25, both jailed for 18 years, 17-year-old, named as Rehman after judge lifts order, gets 12 years. At the time my blog reported that eleven shots had been fired, this number of shots fired at the police and the helicopter is now said to be around 12 and reports have come through that a total of four fire-arms were being used by the members of this group. 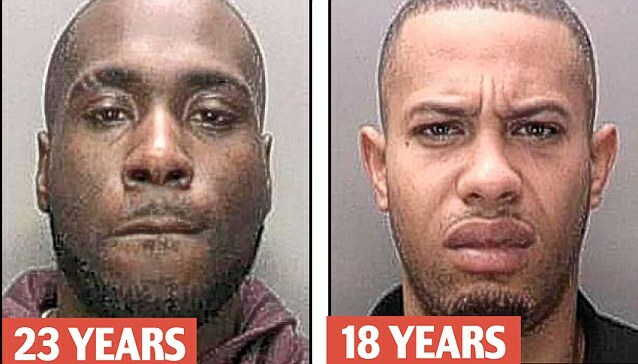 They have been linked to two gangs within Birmingham; to fire these many shots at police officers and a Police Helicopter is beyond outrageous, they are now facing what seems to be the full extent of the law for their actions of intending to endanger life as Judge Davis pointed out in court. It was not only the police who were targeted by the mob on that night but also The Barton Arms pub, it was smashed and set alight whilst the residents inside the pub took refuge in a room above the pub. They caused much damaged to the Barton Arms pub and other premises in the area by throwing petrol bombs and smashing shop windows with chairs. Officers in patrol cars attempted to stop the looting and rioters, the police cars had petrol bombs thrown at them; at 11.50pm officers attempted to disperse the group, this was when the 12 shots were fired at them and at the West Midlands helicopter. Below is a video from the Guardian.co.uk which shows the events of that dangerous night. Whether the Police will be making further arrests regarding this incident, remains to be seen. What is definate is that those who go to court if arrested, will most likely receive sentences from 12 years upwards for this plot to endanger police life and deliberately bring the police to the scene only to begin an attack on them. This sums up the atmosphere around everywhere at the time these riots took place all around the nation, the controversial decision to go ahead with police cuts is now questionable more than ever.The Police organised a march in protest at these cuts, the march went ahead and whether there will be more cuts to be made is what many will not want to see. Police and a helicopter were fired upon ELEVEN TIMES – below is a Helicopter infrared video still of two men who are wanted by the police. A group of 40 were involved, several of whom were shooters. 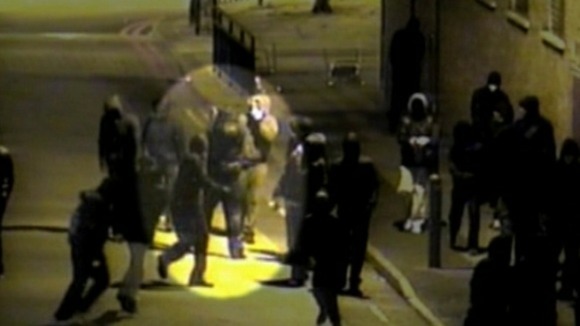 The West Midlands police have released CCTV footage to the public in an appeal for any information on this group. This happened in Birmingham where “Eleven shots were fired at unarmed officers to enable disorder to continue, whilst petrol bombs were also thrown at officers who initially attended the scene,” chief constable Chris Sims said in a statement. “This footage shows seemingly co-ordinated criminal behaviour with no regard for people’s lives, whether it be through the setting of a fire, shooting at unarmed officers or shooting at the police helicopter. The officers who were fired upon were unarmed officers and the men shooting were masked and hooded as well as wearing caps. The footage was released on the 20th of August and it is footage dating from the 9th when there was rioting occuring in Birmingham. The Chief Constable also said that the shootings at the police had been a “concerted and organised attempt” to kill or injure police officers. They caused much damaged to the Barton Arms pub and other premises in the area by throwing petrol bombs and smashing shop windows with chairs. Officers in patrol cars attempted to stop the looting and rioters, the police cars had petrol bombs thrown at them; at 11.50pm officers attempted to disperse the group, this was when the 11 shots were fired at them and at the West Midlands helicopter. Anyone able to assist the police inquiry is urged to contact the Force Criminal Investigation department at West Midlands Police on 0345 113 5000 or speak to the independent charity Crimestoppers anonymously on 0800 555 111. You may recall the student protests of November 2010 there was also much damage caused to London, before the riots of August 2011. 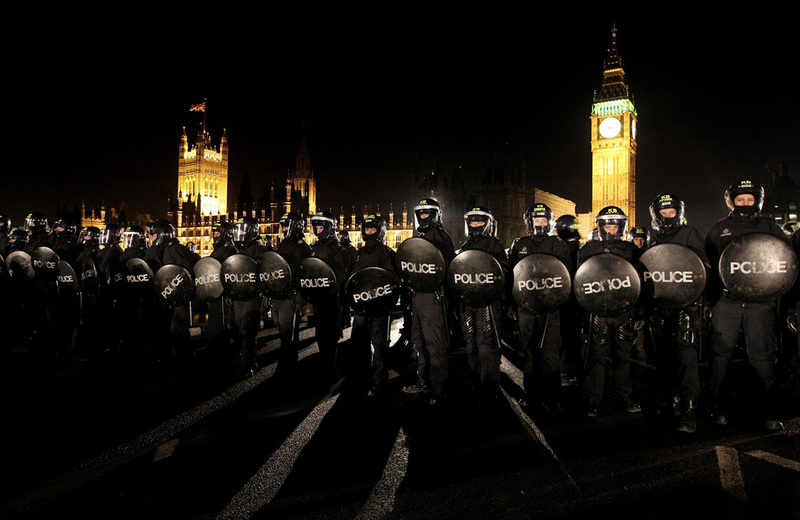 Both of the latter prolific events that have hit England have seen clashes with the Police. The question that should be looked at now – is whether this is a real solution to anything – many would argue that we live in a democracy where one can make their voices heard in a ‘realistic’ way such as mass peaceful protest, which in the student protests many abided to. The same cannot be said about the August riots – what started off as a peaceful protest on Friday 5th August, (Thursday 4th August was the shooting of Mark Duggan which occured at 6:15pm) turned into a full blown riot on Saturday night (6th August), copy cat riots happened all across the UK. Although in the student riots the majority were peaceful; The August riots it is reported – (by many including BBC’s Panorama) – that a group of between 200 and 300 turned violent outside a police station in Tottenham (there is also speculation that this was due to a female being hit by a police officer). The police have labelled these riots in the aftermath as having to deal with a “unique” situation/case (where the majority were no longer abidng to a peaceful protest) – protests are mainly and usually peaceful in the UK which is mostly the case and these actions of protest are welcomed and applauded by the Government, the rioting and looting are not, and the government and courts are ensuring that those involved become conscious of this, through regular speeches and sentencing. Many from the Government – as things stand – may question why the police did not take a more pro-arrest approach and use robust methods if necessary; if this action would further protect people and their property and community. The police overall managed to stop the rioting a week after the shooting of Mr Duggan. And there have been a few hero stories from the police – side – where a small group of officers took on hundreds of rioters by charging them and securing their perimeters together. The riots have caused worldwide condemnation and shock – they have also left much damage and altered communities dramatically in their appearance. As for the police they have been described as using what has been described as “soft” tactics; and David Cameron said: “The tactics the police were using weren’t working”. The police will be receiving further training and a review of the police is to take place. Also the government are looking to go ahead with police-cuts. The government and the police have since the rioting looked at police powers: The police have already been authorised to use baton rounds. While water cannons aren’t currently needed, plans have been put in place for them to be available at 24 hours’ notice. The police will also be given the discretion to remove face coverings under any circumstances where there is reasonable suspicion that they are related to criminal activity. 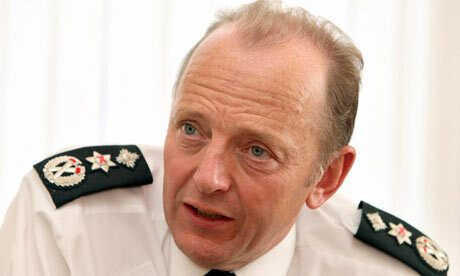 In other news: Sir Hugh Orde has applied to be the next Commisioner of the Metropolitan Police – after Sir Paul Stephenson resigned over the News of the World hacking scandal. More than 3,300 people have now been arrested across the country. Courts in London, Manchester and the West Midlands are working hard to clear the backlog of cases. The IPCC are still working on their report of the shooting of Mark Duggan. Blackberry has recently had their Blog hacked and a message was left for Blackberry on their own blog. This hacking occurred after Blackberry said they will co-operate with the police. They called themselves Team Poison. You Will _NOT_ assist the UK Police because if u do innocent members of the public who were at the wrong place at the wrong time and owned a blackberry will get charged for no reason at all, the Police are looking to arrest as many people as possible to save themselves from embarrassment…. if you do assist the police by giving them chat logs, gps locations, customer information & access to peoples BlackBerryMessengers you will regret it, we have access to your database which includes your employees information; e.g – Addresses, Names, Phone Numbers etc. – now if u assist the police, we _WILL_ make this information public and pass it onto rioters…. do you really want a bunch of angry youths on your employees doorsteps? Think about it…. and don’t think that the police will protect your employees, the police can’t protect themselves let alone protect others….. if you make the wrong choice your database will be made public, save yourself the embarrassment and make the right choice. don’t be a puppet..
– Knowledge is Power . . . . . The blog no longer remains defaced and its blogging as usual for Blackberry. In other news two men in their early 20s were sentenced to four years in prison for organizing riots on Facebook, these riots did not go ahead and now lawyers and civil rights groups are making their views heard saying this action is disproportionate. 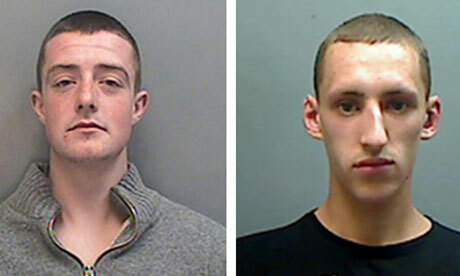 Jordan Blackshaw, left, and Perry Sutcliffe-Keenan, both pleaded guilty to using Facebook in attempts to fuel riots in Cheshire. 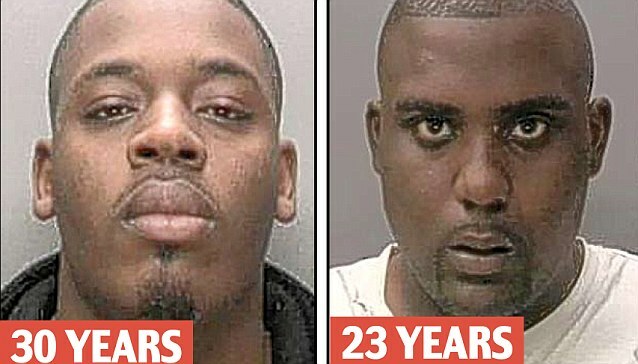 They have been jailed for four years. A particular comment from the judge was : “This happened at a time when collective insanity gripped the nation. Your conduct was quite disgraceful and the title of the message you posted on Facebook chills the blood. The police managed to stop the Olympic stadium (and other key hotspots, for potential riots) from being damaged through online and phone monitoring. They used the information found on phones and online to organise police presence at these potentially targeted places. The police are now looking into the possibility of shutting down these mediums in any similar events. This comes amidst talks by the Government and in particular Theresa May, who have all suggested that social media and Blackberry’s may be banned in their use during times of crisis. Mr Speaker, everyone watching these horrific actions will be stuck by how they were organised via social media. Free flow of information can be used for good. But it can also be used for ill. And when people are using social media for violence we need to stop them. So we are working with the Police, the intelligence services and industry to look at whether it would be right to stop people communicating via these websites and services when we know they are plotting violence, disorder and criminality. RiM – Research in Motion the company that produces Blackberry’s have said they will co-operate with the police and by law the police are able to serve Rim with an order to reveal information. Under the same law, Rim are barred from disclosing whether they’ve done so or not. This is underThe Regulation of Investigatory Powers Act (RIPA) provides that the interception of communications is unlawful in most cases. However, the Act states that law enforcement agencies, including the police and MI5, can force telecoms companies to hand over customers’ details in order to tap phone, internet or email communications to protect the UK’s national security interests, prevent and detect terrorism and serious crime or to safeguard the UK’s economic well-being. The communications industry is still striving to further the world of communications – as Apple are set to launch a messenger service on their i-phones and facebook are to make available a messenger with Android phones. The government will be taking this into consideration too. 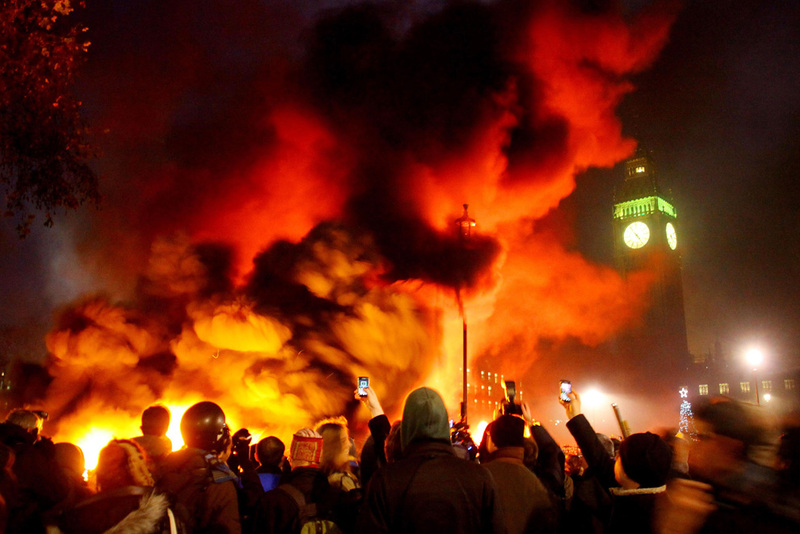 The Association of British Insurers has estimated the cost from the riots and looting at 200 million pounds ($326 million) this total is expected to rise. The Police and the Government have been the focus of the media recently for their handling of the Riots of 2011 and also their bantering over who took the decisions that helped to stop the riots. Theresa May came under criticism by the police for saying she took the decisions of what the police should be doing on the streets at the time of the riots – such as the implementation of a 16,000 strong Police presence on the streets of London; the police countered this saying it was their decision to make and they were the ones who made the decisions. The police have also come under criticism as their actions initially were not up to scratch with dealing with the riots and were seen as too soft. They were also criticised for handling the situation as a public disorder one, rather than one of criminality; as a result shops and businesses were left ransacked and on fire. David Cameron said that the police got their tactics wrong he went on to say “Police chiefs have been frank with me about why this happened. Initially, the police treated the situation too much as a public order issue – rather than essentially one of crime”. 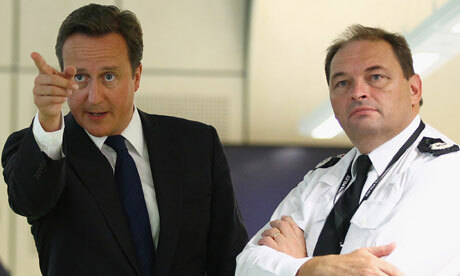 Mr Cameron is also to bring in a top-cop from the US Mr Bill Bratton who has dealt with policing gang-culture in his time as chief police officer for New York, in an effort to stop future rioting. The question this week that everyone is trying to find an answer to is why these riots took place – and why they took place on such a large scale. Social media such as Facebook and Twitter were identified as the culprits, for the way these riots were organised as well as Blackberry’s. 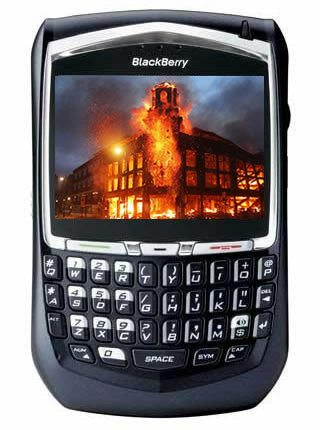 A Blackberry spokesman said: “We feel for those impacted by the riots in London. We have engaged with the authorities to assist in any way we can”. At the time of the riots David Lammy MP for Tottenham had voiced his concerns and had called for BlackBerry’s messenger service to be suspended. David Cameron and Theresa May have recently been calling for powers to block suspected rioters from using BlackBerry, Facebook, and Twitter. 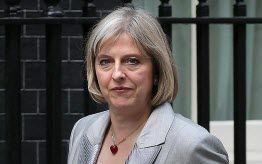 Theresa May is to meet with RiM (Research in Motion) who produce Blackberry’s, she is also to meet with Twitter and Facebook in a meeting where the riots and the use of social media are to be discussed along with the idea of blocking access in times of crisis. Blackberry holds 37% of the mobile teenage market. 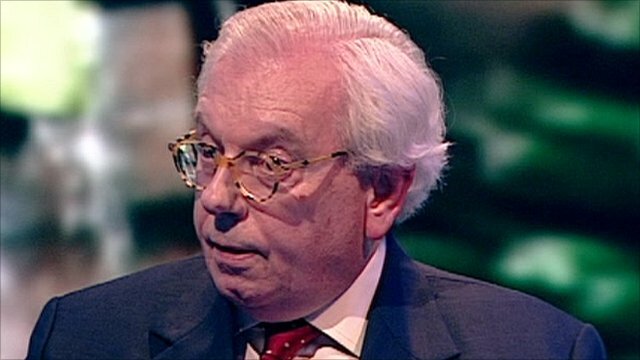 This week also saw the BBC’s Newsnight on the front page of the Guardian as well as being the discussion of many news-agencies, as one of the programmes guests David Starkey was controversially putting the riots down to Black Jamaican ‘patois’ culture. 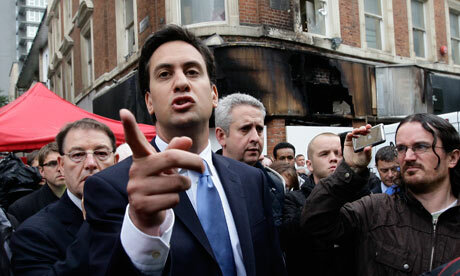 Mr Miliband has condemned Mr Starkey for his comments. As for the IPCC – they have said they initially provided wrong information to the media about the exchange of shots by Mark Duggan – who is now said to have not used his gun although forensics are still investigating whether the gun found on the scene was fired or not – the gun was said to be hidden within a sock. 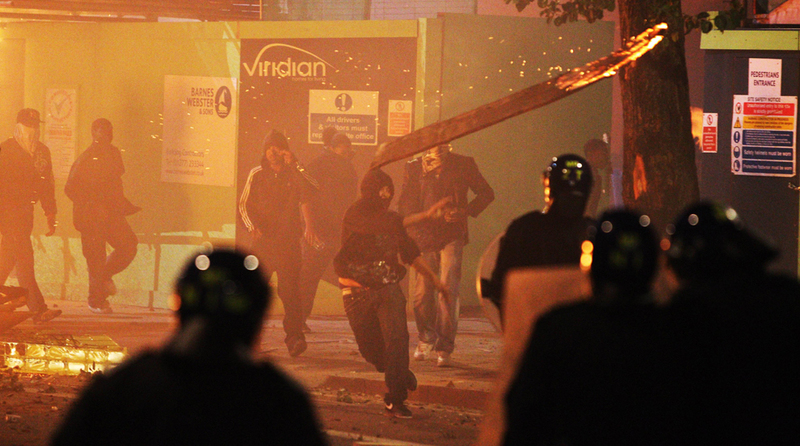 The number of phone calls the police received were over 20,000 on the worst night of rioting. The number of arrests so far are are more than 1600. 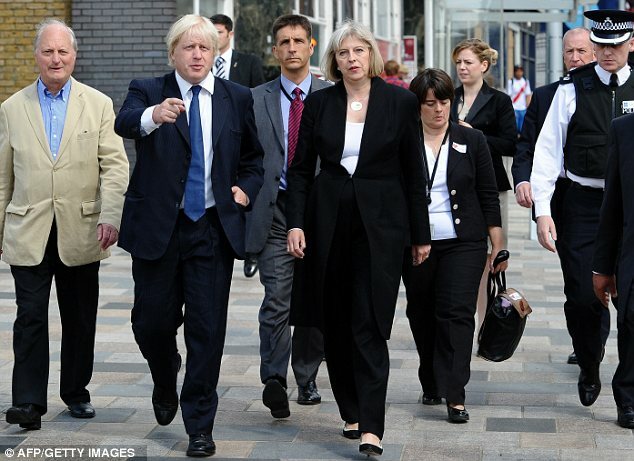 The Mayor Boris Johnson has criticised the government’s plans to make cuts to the police, as have the Labour Party. This is an issue that will be looked at closely by the media in the coming weeks. The Government has now put measures into place such as the increased number of police presence on the streets and the potential to use water canons to bring the rioting to an end, if in any circumstances they begin again. As for Police injuries 300 officers have been injured and a police officer died in the riots in Wembley, after being run-over, three people have been arrested on suspicion of Murder. 60 civilians were injured in the riots. A rundown of the riots since Saturday 6th August: Riots started in Tottenham, then moved on to Tottenham Hale, and Wood Green. Sunday 7th saw riots spread to Chingford Mount, Enfield, Islington, Oxford Circus, Ponders End, Walthamstow. On Monday 8th there were riots in Bethnal Green, Bromley, Camden, Clapham, Croydon, Ealing, East Ham, Hackney Lewisham, Peckham, Stratford, Woolwich. 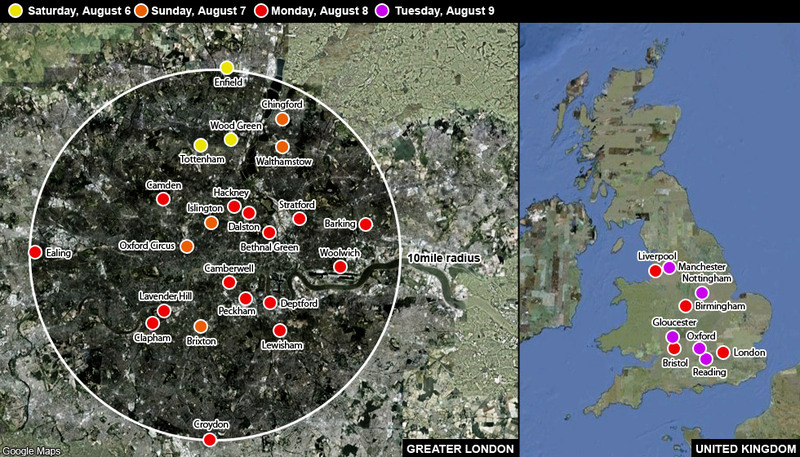 Tuesday 9th August saw riots in Birmingham,Clapham, Leicester, Manchester, Salford, West Bromwich, Wolverhampton. 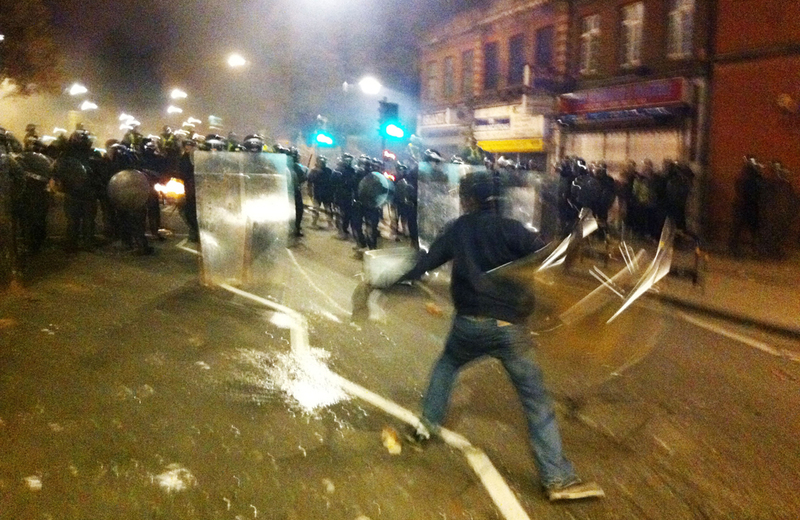 The other places riots took place were: Balham, Barking, Battersea, Bexley, Birkenhead,Birmingham, Bristol, Brixton, Bury, Cambridge, Camden/Chalk Farm, Charlton, Chingford, Colliers Wood, Coulsdon, Dalston, Dulwich, Denmark Hill, Eastham, Elephant and Castle, Enfield, Fulham, Hackney, Harlesden, Huddersfield, Islington, Kent, Lavender Hill, Leicester, Lewisham, Leyton, Liverpool, London, Manchester, Merton, Norbury, Nottingham, Notting Hill, Oldham, Peckham, Ponders End, Purley Way, Rochdale, Sefton, Shephard’s Bush, Salford, Stratford, Streatham, Stoke Newington, Surrey Quays, Sutton, Thornton Heath, Tooting, Waltham Cross, Walthomstow Forest, Wirral, Wembley, Wolverhampton, Woolwich. Major fires were started in Barking, Clapham Junction, Croydon, Dagenham, Ealing, Greenwich, and Southwark. The streets of England seem calm for the moment.